I’ve always enjoyed coaching. After my dreams of becoming a Major League ballplayer were dashed, I wanted to be a sports coach or a teacher—both jobs that require mentoring people. Early on in my career, I received the benefits of being mentored. Advice from someone who had been there before was invaluable. 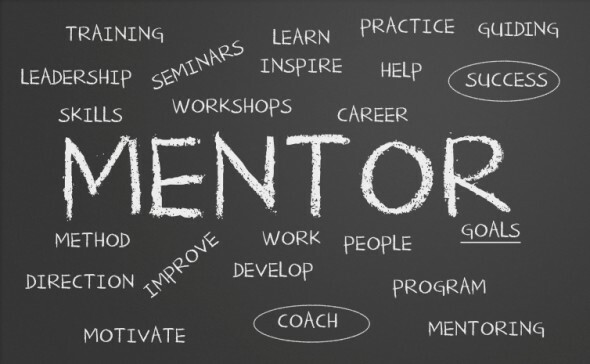 As my career progressed, people began to seek me out as a mentor. I hosted fireside chats for eBay employees who came looking for leadership development. I talked about the value of infusing integrity in everything you do and the importance of aiming high, but what I found most of all was that people were looking for direction in how to live more fulfilling lives. We understand that in sports there is a great coach behind every great player, and we celebrate these folks, but in work we somehow forget their importance. We leave behind what we learned in school athletics and approach our professional lives without giving much thought to coaching (or mentoring) or where to look to continue to build our skills and abilities and be the best we can be. Too often we are guilty of making a terrible error: we keep our dreams and aspirations near and dear and are reluctant to share them with anyone. But when dreams are kept private, it’s harder for them to take off. However, when we share them, amazing things can happen. Take, for example, Marc Benioff. When he started Salesforce.com, he was open to sharing his idea with trusted advisers and mentors and was thus able to tap into helpful expertise and a critical network. One of his mentors, a successful entrepreneur named Bobby Yazdani, the founder of Saba Software, introduced him to three talented developers who became Marc’s cofounders and helped him build an incredible service and company. In fact, Marc has described meeting Parker Harris, one of the developers, as ‘‘the luckiest thing in my life.’’ It wasn’t luck; it was the result of Marc’s articulating his vision and sharing it with a mentor who had experience, understanding, and a desire to help. Always aim high, but be very specific about what you want to achieve and how you will achieve it, and share these plans and aspirations with a few key advisers and mentors. Doing so makes you more committed and gets others invested in seeing you reach your dreams. But there’s something else just as important: become a mentor for someone else. At this stage in my life I’m most focused on what I’ve loved all along—coaching. And in this role I’ve found the greatest purpose and fulfillment. And I’ve learned the most—and perhaps even made the biggest impact. We all have more to give, giving it to someone you can help get better is the most effective thing you can do. Empowering others is a way to make the biggest difference.